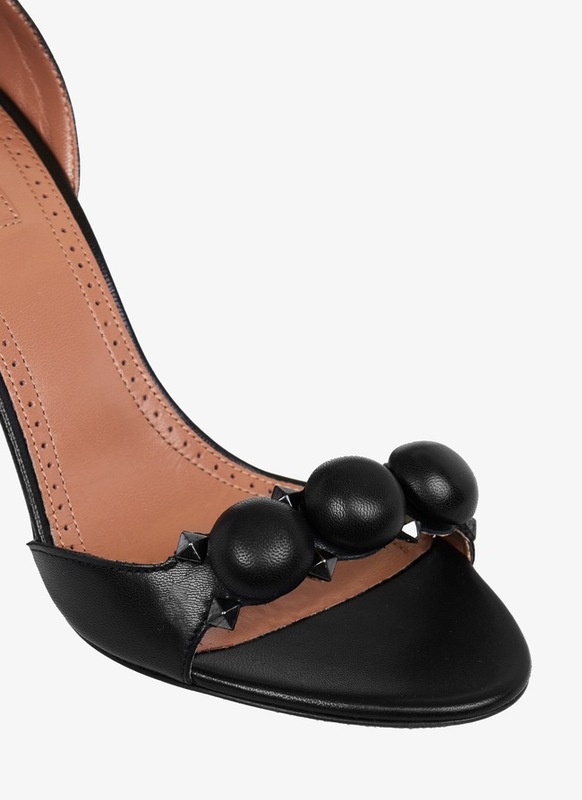 Black leather stiletto sandal, embelished with pompom and pyramid studs. Fixed ankle strap. 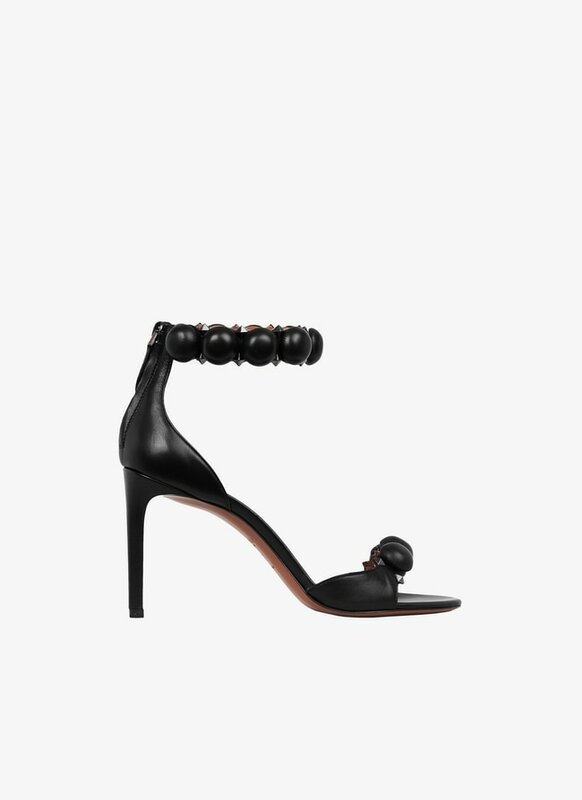 90mm heel.